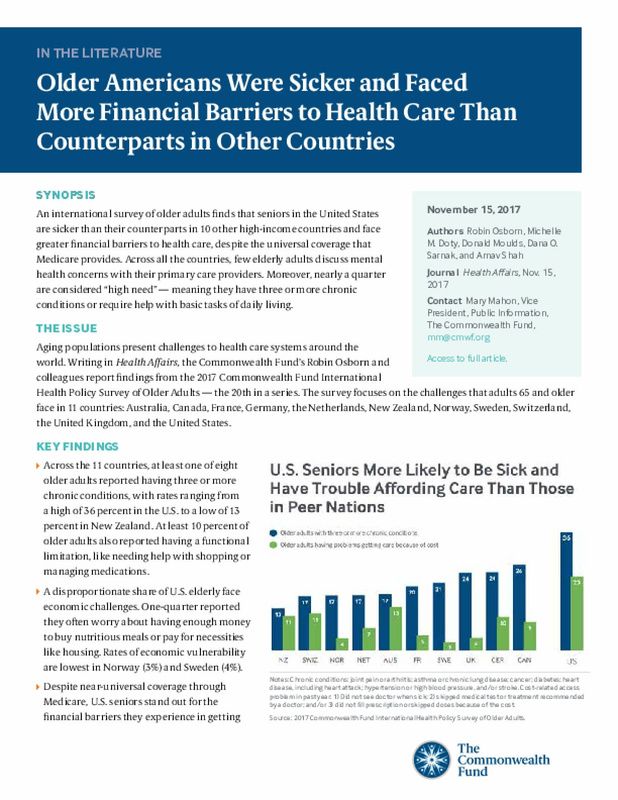 An international survey of older adults finds that seniors in the United States are sicker than their counterparts in 10 other high-income countries and face greater financial barriers to health care, despite the universal coverage that Medicare provides. Across all the countries, few elderly adults discuss mental health concerns with their primary care providers. Moreover, nearly a quarter are considered "high need" — meaning they have three or more chronic conditions or require help with basic tasks of daily living. Copyright 2017 by Commonwealth Fund. All rights reserved.